Take Up to 50% Off Select Styles! Adidas adidas Mid Season Sale: Up to 50% Off Select Styles Until April 4 Take Up to 50% Off Select Styles! Put away your salt-stained boots and find some new shoes at adidas, because their Mid Season Sale is on now and you can take up to 50% off select products, including some trendy NMD and Ultraboost sneakers! There are over 1500 styles available and no promo code is required, as discounts are reflected on product pages. We've listed a few fancy fashions to help get you started. The adidas Mid Season Sale is effective until 2:59 AM ET on April 5. Quantities are limited, so shop quickly before your size is gone! 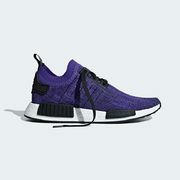 adidas.ca offers free shipping with no minimum for shoppers with an adidas account; otherwise, free shipping is offered on orders over $50.00. Unless there is a code for additional off that I am missing, then for me anyway, I don't see much bargains here. Maybe if you are looking for a specific item that hasn't been on sale before. may want to change the link to the actual page. Also maybe get rid of the referral link? I placed an order on Adidas on their previous Ultraboost sale. They cancelled my order and didn't even bother to send out an email. No rain-check, no delay in fulfillment, not anything. I did use a an extra 10 percent code which went through. Will have to think twice about ever buying anything from them, it could be a waste of time. Inikis have been available for $50 or less a couple of times this year. If you absolutely need shoes now and/or really want a certain colourway then maybe, but if you've got too many shoes or no pressing need it's not a great deal. For anyone who likes blue, Livestock has them at $51 and KDC-XTRA10 might take 10% off that (it did a few weeks back at least). Promotion runs from 18/03/2019 to 04/04/2019. Offer expires on 04/04/2019 at 11:59pm (PT). Price as shown. Some product exclusions apply. While quantities last. This promotion is only valid on domestic Canada orders on adidas.ca. Price matching is not applicable on previous orders. This offer cannot be combined with in-store promotions or additional coupons. adidas reserves the right to change or end this promotion at any time. I see pureboost go for $85. I believe lowest was $75 but they have some unique colorways this time for those that care. KDC-XTRA10 might take 10% off that (it did a few weeks back at least). what is up with this crappola?! Nice. Saved 106 off ultra boost. 168 taxes in. Not bad for a colour that never goes on sale. thanks, been eyeing on the parley hoodie earlier this month! Thanks for the post OP, not a good selection for me to spend this time. don't think it works now.